Here come the 12 megapixel cameras. The Panasonic Lumix DMC-FX100 caught my eye, mostly because of the wide zoom, starting at 28mm, and because it's a compact. I'm thinking about maybe buying this one as I want something small enough to fit in my pants pocket for when I go on those long hikes in the mountains. Sometimes you just don't want to be hauling around heavy cameras. 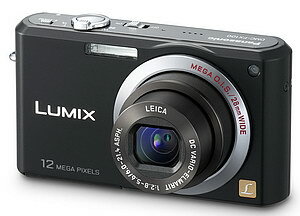 I checked out some sample images from this camera, courtesy of the Panasonic website. Go here to check them out yourself. Here are some quick specs for the FX100. 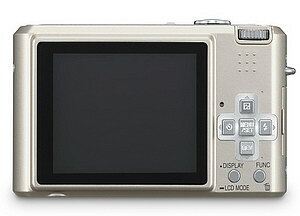 * 12.2 megapixel CCD, 1/1.72 sensor. * 28mm-100mm equivalent zoom. 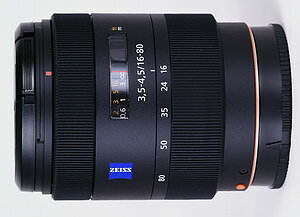 F/2.8-5.6 lens. * ISO up to 6400! Can't wait to see that. * 2.5" LCD 207,000k pixels. * Black, Gold or Silver bodies. * On sale July '07, no price yet but likely $399? If you actually looked at the sample images, you'd notice the highest ISO sample was 100, which normally wouldn't be too encouraging, but the top picture (portrait) is ISO 100 and it looks much better than Panasonic of the past, cleaner, with just a little purple fringing in the upper right-hand corner. The Yosemite picture looks great (ISO 80) print it out at 13"x19" if you can, impressive! I see some corner softness, but that's to be expected and it doesn't look too bad. Specification page here. I've finally finished the full review of the Olympus SP-550 UZ. I'm also replacing the sneak peak or pre-review page with the full review page, just so nobody gets mixed up---like I did. Check out the concise review filled with useful information such as; image quality, overall camera performance, full lens tests and the final conclusion at the bottom of the page. Here's the much anticipated full review of the Sony Carl Zeiss Vario-Sonnar T* DT 16-80mm F/3.5-4.5 ZA zoom. As usual, there're a few surprises included. I've also thrown in a comparison of the difference between 16mm-18mm (24mm-27mm equiv.) by using a couple of pictures, which appear at the very bottom of the review. If you're interested in throwing down $700 bucks for a new lens for your Sony DSLR, this page will be a good place to spend the next 15 minutes. Here's a new release from the good people at Canon. 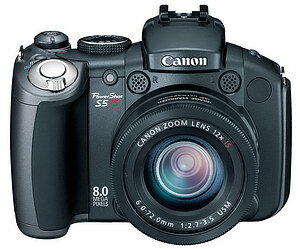 It's the Canon Powershot S5 IS. It appears they've packed another 2 megapixels on the little sensor, added a hotshoe and stepped up to a 2.5" LCD, aside from that it's the old S3 IS with the same old lens. Hint for Canon---the trend is wide angle, 28mm or so!!! Look below for quick specifications. For full Specifications go here. * 8MP 1/2.5" CCD sensor. * F/2.7-3.5 12x zoom 36-432mm equiv. Same as S2 IS lens of June 2005. * SD 32mb card included. * Now with hotshoe for Speedlite EX flashes. Anyone ever put a flash on one of these? * Face detection, no RAW option. * Available June 2007 for $499---or less I suspect. 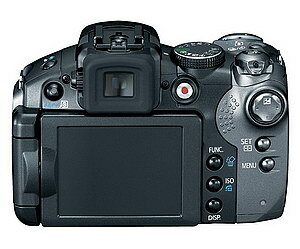 Also announced, the Powershot SD850 IS, another compact with an 8mp sensor. Whoever comes up with the names for the ELPH cameras should be put in the slammer--very confusing! I've completed the virtual hike , replete with 29 photos and descriptions under each. If you've ever wondered about hiking southern Arizona, this is a great introduction. check out the hiking tour here. I used the SP-550 UZ for almost all the pictures. Also, I've finally received my Sony Carl Zeiss DT 16-80mm lens. I didn't end up ordering it from Sony---we'll talk about that later---I got it from B&H photo. It was much cheaper and their website is much better than SonyStyle. I'm already taking pictures with it. Look for a full review by next weekend!